One of the most successful national finals of 2018, Destination Eurovision confirmed a return for the 2019 season — but not without a few changes. As expected, the expert lineup panel has changed — and Amir and Isabella Boulay are out. Former Pop Idol winner Christophe Willem is the only talent from last year’s expert panel to return. Christophe went on to commentate the semi-final and final of Eurovision 2018 for France, alongside Stéphane Bern and France’s Eurovision 2017 representative, Alma. Destination Eurovision, saison 2. On retrouve notre expert musical @christophewillem ! À suivre… ???? Christophe will be joined on the expert panel alongside his Eurovision 2018 semi-final commentator André Manoukian. A songwriter, jazz musician and actor, André brings many years of judging experience, as long-term judge on France’s Pop Idol until 2016. Destination Eurovision, saison 2. Bienvenue à notre expert musical @andremanou ! À suivre… ???? Rounding out the panel is singer Vitaa. Selling 1.4 million records in France, the singer has been a coach on The Voice of Belgium since earlier this year. She is also no stranger to the Destination Eurovision format, having been involved with the production of last year’s entry “Mamma Mia” by Louka, which came eighth in the final. Destination Eurovision, saison 2. Bienvenue à notre nouvelle experte musicale @vitaa ! À suivre… ???? André and Vitaa’s involvement mean that last year’s panellists, France’s 2016 entrant Amir and singer Isabelle Boulay, are out. French-Canadian entertainer Garou, who previously expressed an interest in returning as host of the contest pending scheduling issues, has finally also confirmed. Hourra! While the lineup announcement has changed, it’s not yet known what impact their involvement will have on the show. In 2018, the jury and televote contributed 50% of the vote each. This ratio could change for 2019. Aside from a change to the expert panel lineup, Destination Eurovision will now have all three shows filmed and aired live. In 2018, the semi-finals — which were decided by jury vote alone — were pre-recorded…meaning that audience members learned who the four qualifiers were from each semi before the shows were broadcast. While audience members were asked to keep quiet — and fans were generally good with not leaking spoilers — the news did get out and it was not difficult to learn who the qualifiers were. Making the semi-finals live means the results will be a surprise to all and it also opens the potential for involving a televote as well as the judges’ vote. Submissions for Destination Eurovision closed on November 30 – so it’s only a matter of time before we start to hear just who will be entering the contest. 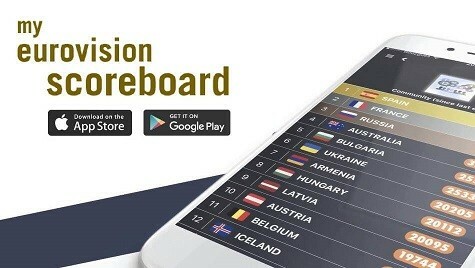 What do you think about Destination Eurovision 2019? Who would you like to see represent France in Israel? Let us know in the comments below! Happy to see Garou is back! I kid of wish/hope Alma could come back as a guest judge but if they get MadameMonsieur I’ll be equally happy. Out of topic. Would you please give some attention to San Remo rumours? All Nek, Raphael Gualazzi and Il Volo are rumoured to be in, and I need someone I can fangirl about it with. Imagine il volo coming back for revenge in tel aviv..
You forgot to say that in 2019, french jury won’t give any points to the contestants. For the 3 shows, il’ll be 50% international juries, 50% televote. I hope to see Garou and one more time Lara Fabian in Eurovision. If these expert panelists are going to sing Eurovision winning songs again as an interval act, I hope they memorize the lyrics. The first one was horrible and downright embarrassing. André Manoukian is not really a singer, so it would be weird hehe. When did Vitaa become that big of a star? Why was she invited to the in the jury panel? Good. Amir was dreadful on the panel. Amir liked Nassi-Reves de gamin and didn’t liked Mercy. Best judge. Louka and the man who wrote his Song were Amirs Friends and therefore no surprise, Amir voted like he did. Yeah but he also gave a decent amount of points to Noee while Isabelle and Willem didn’t give her any, so I think it’s a little unfair to put all the blame on his back for her not qualifying. Amir should try to find some sort of artistic identity for himself, because his songs are all the same (du pareil au même). Yey for Christophe but I would have liked to see Isabelle Boulay return as well. Amir was okay but, he looked like he’s a bit out of his comfort zone when airing his critiques. And it was quite awkward knowing at least one of those contestants where from his season of The Voice. I didn’t feel Amir had enough experience to be on a judging panel.